Two vegans talking about stuff, sometimes relevant, sometimes not. 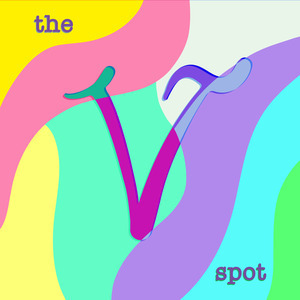 We found 7 episodes of The V Spot: Vegan Podcast with the tag “food”. This episode contains discussions such cakes that are too cute to eat- a possibility or no? Which are the best Oreos? And there's listener feedback/emails!! Mr. Rochester also makes his podcast debut. Peanuts, wheat, and milk oh my!! These three and some other of the top nasty allergens are discussed in this weeks review episode of Rotten. Politics, chocolate, and neighborhoods- oh my! It's time for a brief discussion on Easter before diving into politics and veganism. Travel, pop culture, and loads of talking about food in another episode of epic "all over the board" proportions. Have you ever had that mixed bag conversation? The content is all over the board and at the end of it you wonder- what even just happened? We've had that too...this episode is that in fact!